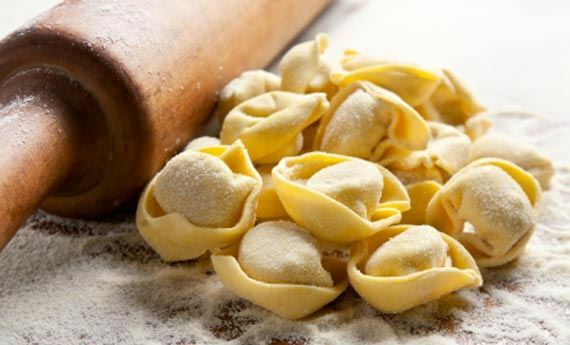 Tortellini, also known as cappelletti, are hat-shaped pasta, sometimes also described as "navel shaped", hence their alternative name of "belly button" (ombelico).They are typically stuffed with a mix of meat. Originally from the Italian region of Emilia Romagna (in particular Bologna and Modena), they are usually served in broth or cream sauce. ICC instructor and native Italian, Romina Montanari will demonstrate the process, and then it will be your turn to create some tortellini of your own. You will bring the recipe home!